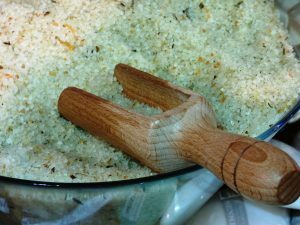 Blend your own exfoliant. 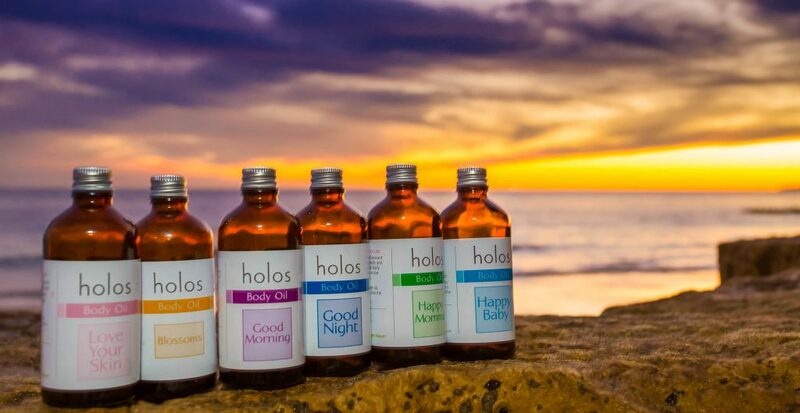 Get FREE sample of Blossoms Light Facial Polish by Holos! 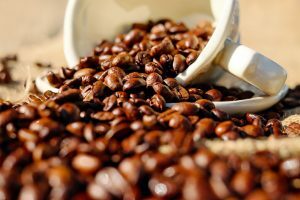 Do we need an exfoliant? Do I really need an exfoliant? There seems to be a lack of understanding when it comes to exfoliants. As we age, it is wise to use one but that’s not a bad thing as they feel great on the skin! The main role of exfoliant is the removal of dead skin cells. When we are young, our skin cells renew every 28 days. As we age the renewal process slows down and we need to help our skin by removing the dead layer mechanically or by using enzymatic exfoliant (recommended for a sensitive complexion). Going on holiday, an exfoliant might be the last thing on your mind but after a week in the sun you will really feel the need for it. Using an exfoliant will aid a more even tan, and you’ll really feel the need to deep cleanse your face from all that sweating in the heat. This is what I did on my holidays when I forgot my exfoliant, I made my own! But don’t tell Niamh, she wants you to buy ours! I spoke nicely to the kitchen staff in my hotel and they provided me with a few ingredients. If you have oily or acne prone skin, add a pinch of cinnamon for its antiseptic properties. 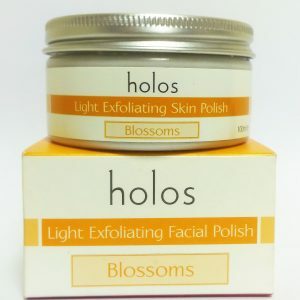 If you are not into blending your own scrub you can always grab Blossoms Light Exfoliating Facial Polish by Holos. It has everything you need. It is a scrub and a moisturiser in one. The pumice is volcanic lava packed with minerals. You will get rid of dead skin cells, the coconut oil will moisturise your skin leaving it soft and plumped. 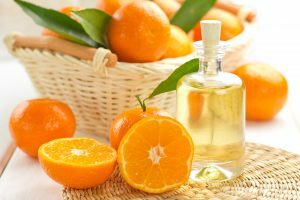 The combination of essential oils are pleasantly relaxing. Jasmine encourages smooth skin and aids the disappearance of scar tissue and thread veins. Ylang ylang is known to have antidepressant, antiseptic, aphrodisiac 😉 and sedative properties. The packaging is worth noting if you are travelling. The 100ml volume is safe for travelling by airplane. The packaging is made of very light aluminium and PET plastic- will not take any weight from your luggage. body moisturiser – massage a few drops into your wet skin. The oil is a brilliant protection from moisture lost. 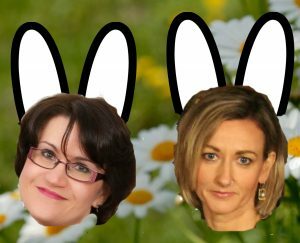 Have a healthy, joyful, warm and full of love and chocolate Easter!